This Military style coyote brown cold weather arctic fleece tactical cap-helmet liner is a lightweight skull cap with ear flaps and it is super warm. This tactical cap-helmet liner is made from 95% polyester 5% spandex. 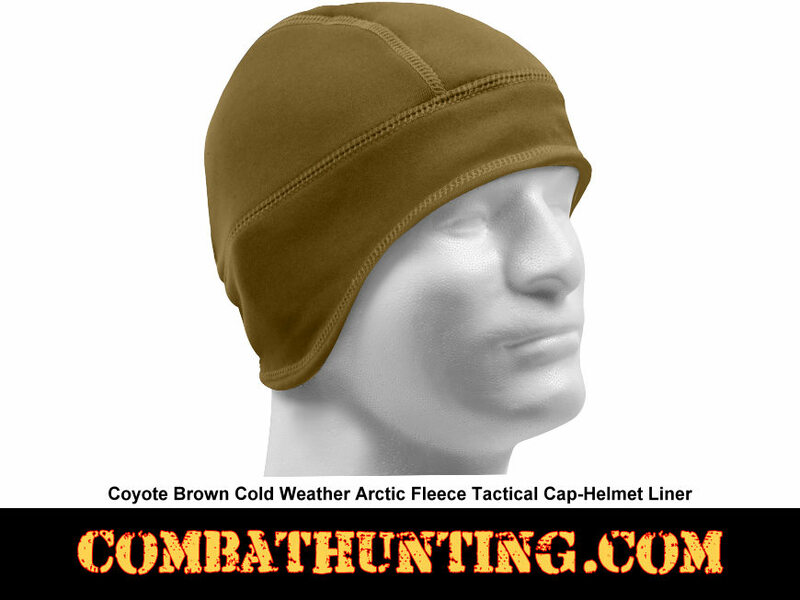 This tactical cap can be worn under your helmet or as fleece cap.